Memorial Day marks the unofficial start of summer and now is the time to enjoy your outdoor space! No matter how large or small, the following tips can help you build a usable entertainment space for those warm summer nights. 1. Create a focal point in your outdoor space. This may be a table and chairs, fire pit or water feature. Choose a focal point to build your space around. 2. Provide ample seating for guests. This may be in chairs, benches or porch swings! 3. Add touches of color from potted plants, outdoor rugs or accent decorations. 4. 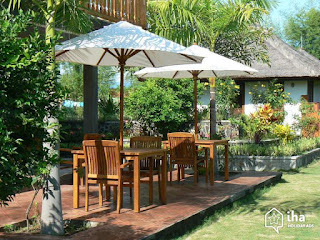 If you plan on using your outdoor space for dining, have easy access to the indoors for back and forth to the kitchen. Have table space and counter space for serving ware and dishes. 5. Think about lighting. Take advantage of the cooler evenings with the right lighting - string lights, lanterns or torches. Candles to keep bugs away is another big plus! If you don't have a large outdoor space - don't let this get you down! You can make the space feel larger by utilizing your whole yard in different areas for different reasons. There can be a space for dining, a space for games and a space for lounging. 1. Cover up your windows with blinds or drapes to keep the sun and warmth out. 2. Close doors to rooms that aren't used often to keep the A/C where it is most needed. 3. Use ceiling fans or box fans to supplement the cool air flow. 4. When cooking - always use the exhaust fan to get hot air out of the room quicker. Try grilling for less indoor heat! 5. Switch sheets and blankets to cotton - a cooler material that will make sleeping easier. while staying cool and comfortable at home. What are some of your favorite ways to stay cool? Get right to Mom's heart this Mother's Day with these cute and thoughtful crafts. Having the kids involved will make the day even more special. 1. Paint an old mason jar to use as a vase. Have the kids add their own special touches with paint, stickers or glitter. Then fill with a beautiful display of flowers. 2. 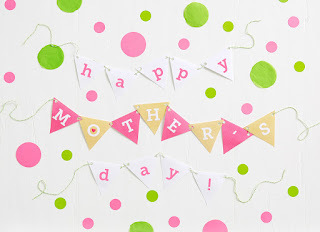 Use family photos to create a Mother's Day scrapbook. Have the little ones sign their name or if they are older, write a sweet message to Mom. 3. Bake Mom's favorite dessert! It can be something simple like pudding with cool whip and sprinkles. Just make sure there's no clean up! 4. Go on a nature walk and put together a treasure box of all your favorite finds! Rocks, leaves or sticks transform when a child tells Mom about them. 5. Have each child make a coupon for a free hug, kiss, or for making the bed. Something age appropriate and fun that Mom can cash in weeks later. No matter how you choose to celebrate the Mom's in your life - make sure the gesture is heart felt and genuine. There's no better gift! 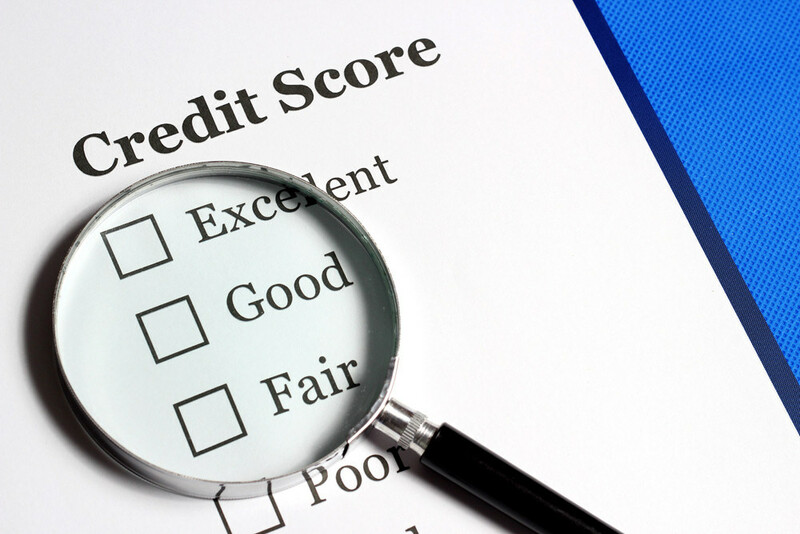 A strong credit score is a vital part of achieving financing on your new home. The better your credit score, the better your interest rate and loan terms. So what does this mean if you're credit score is less than perfect? Don't let your credit score hold you back from buying the home of your dreams. There are things you can do to improve your credit score starting today! 1. Pull a copy of your credit report and look for errors. There can be errors on your report that can change the way your credit score is calculated. Look for incorrect late payments or incorrect debt amounts owed. 2. Continue to pay your bills on time. Set up reminders if you need to. Don't miss a payment or send in payments late. 3. Begin to pay down debts whenever possible. Start with debts that have the highest interest rates first. 4. Don't open too many new accounts or close inactive accounts. Show stability in how your credit is maintained. 5. Keep your credit card balances low and pay them off each month as possible. Don't use too many credit cards. Just increase the credit rate on the current cards you used. Improving your credit score will take time. It's not an instant fix but if you take the steps above you'll show banks that you are less of a risk and more likely to pay back your mortgage on time and in full.